I was at this show (and the next night). 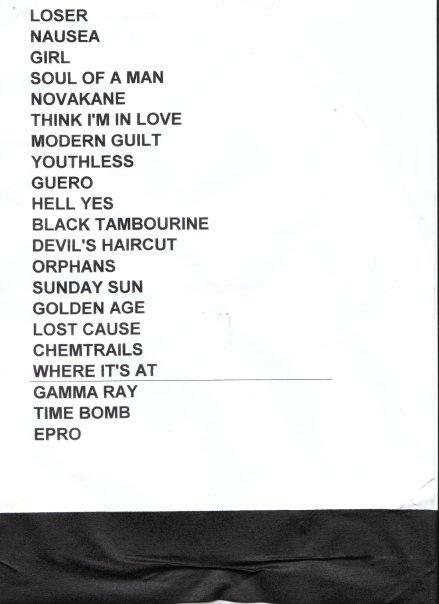 I do remember the second night being more amazing, but basically because it's setlist was cooler. Tonight was good, and I thought Jenny Lewis made a great opening act for Beck. "Hollow Log" was pretty spontaneous. "Chemtrails" sounded huge.